Just in time for Easter Mr. Cupcake Rabbit arrives in his very own plush cupcake! 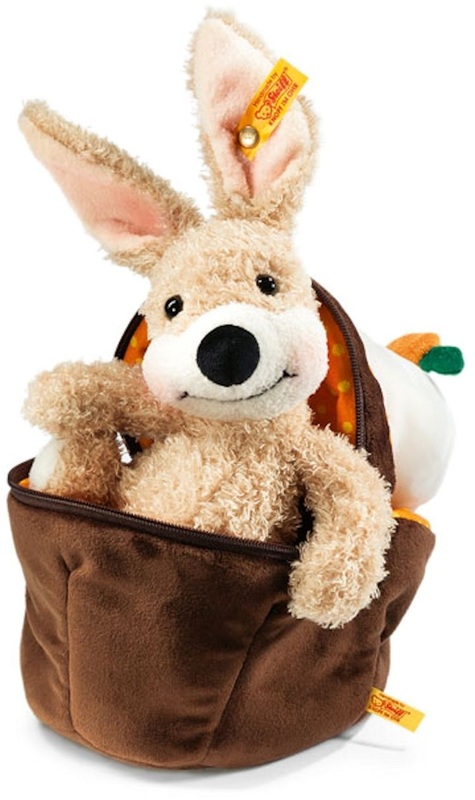 At 8-inches tall, he fits quite cozily into his polka dot lined brown plush cupcake with a zipper closure. 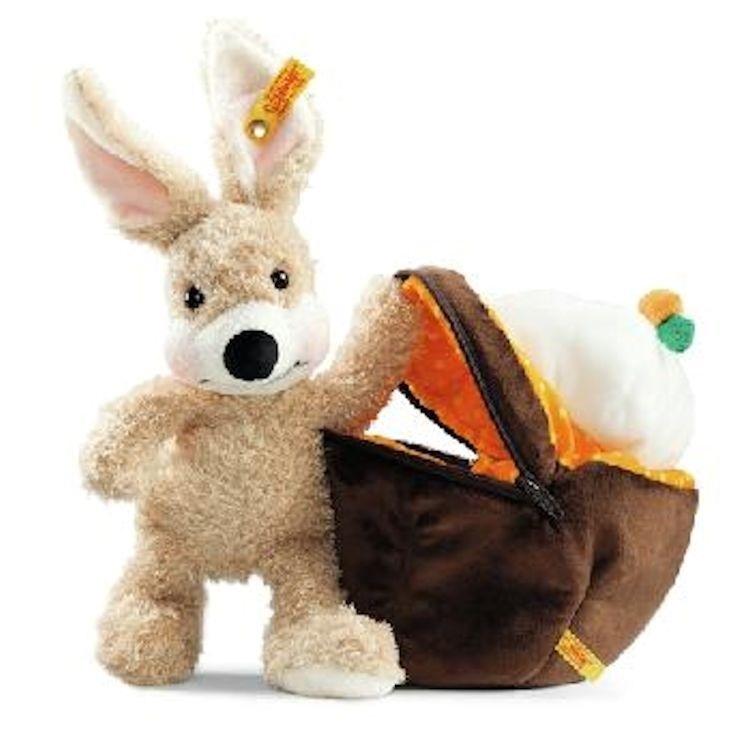 Mr. Cupcake Rabbit is also a beige colored plush, with white plush paw bottoms, and muzzle. He has black safety eyes and is good for the youngest Steiff collector! Subtle coloring has been airbrushed on his cheeks and he is machine washable!